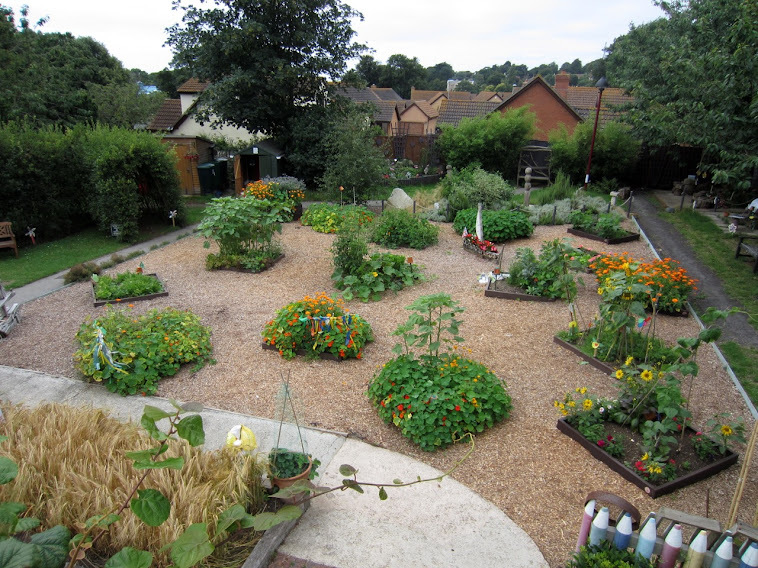 It has been a particularly seasonal week in the garden with the weather being very Aprilish as it used to be before the last few years when summer seemed to arrive in April and depart by June. 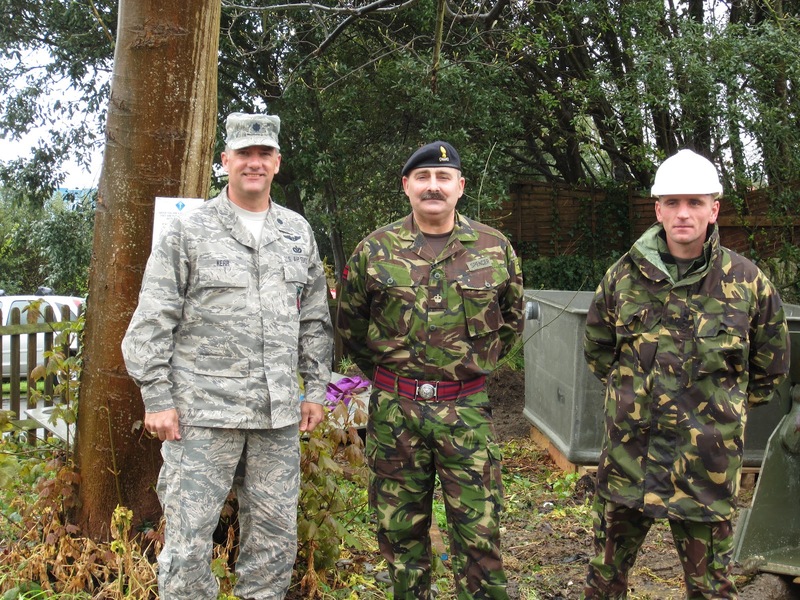 However, there was rather too rain on Monday when the Royal Engineers and US Air Force National Guard Engineers turned up to install the Natsol Composting Toilet tank that was delivered the previous Friday. 15 personnel arrived at 8.00 and within half an hour had unloaded tents and supplies. The rain at this time was torrential but not perturbed the team donned hard hats and the ubiquitous hi vis waistcoats and set to work clearing barrow loads of rubble, broken bricks and slabs before the serious work of digging the hole began. I missed the hole digging as I had to attend a meeting but came back at 11.00 to find the hole dug and everyone looking very wet and muddy. Once the hole was dug concrete was shoveled in and levelled and then the task of swinging the tank into place commenced. And after much manoeuvring it was in. Next a smaller hole was dug to the side to accommodate the soak-a-way which will take the urine. Finally the lid of the tank was lifted into place. The whole job was carried out under the supervision of Pete who made sure everything was carried out according to instructions. It all met with the approval of the Commanding Officers.